Set the table with care and beauty. This durable flatware has an exceptionally nice "feel" and balance. Sturdy, high quality 18/10 stainless steel. 5.125" long. Dishwasher safe. 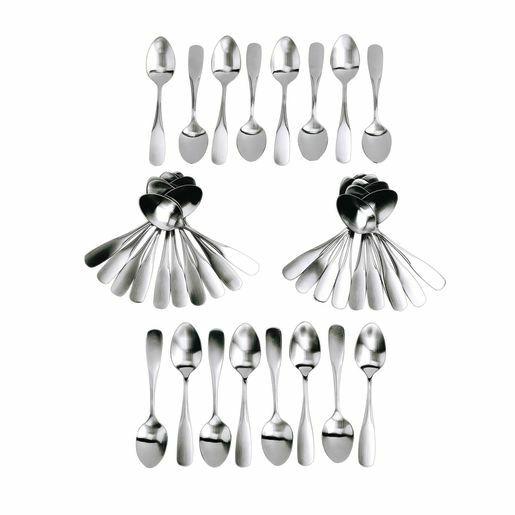 Set of 36 spoons.